Our Display Counters come with a flat top and fit into various places to help advertise your logo. Innovative design and available graphics create spectacular displays. Our custom graphics allow you to get the attention and curiosity of potential business clients to help you generate business. They are easy to set up take down and equipped with a flat top and specially designed zipper to ensure a smooth setup. They are also light weight and durable. TALLMAN.PROMO display counter provides an eye-catching display that can be customized to attract more clients and customers. Display counters offer custom graphics that allow you to get attention and curiosity of those passing by because of the uniqueness. Use your display counter to showcase new products or promotions for customers to see while you use other items to pass out information and generate business. Display counters look unique and are easy to set up and take down. The display counters are equipped with a flat top and specially designed zipper to ensure setup goes smooth. These booths allow you to display your logo and brand prominently while being lightweight and durable. Call us to learn more about our display counters. 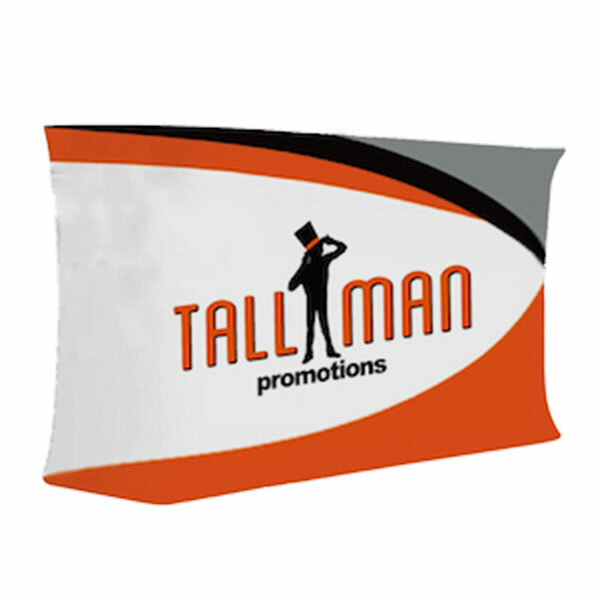 TALLMAN.PROMO offers a large range of signage and displays. We guarantee that your event will find great use for at least one of our products on out page. Popup display counters are 195cm x 52cm x 100cm. This product comes standard, there are no further product options.